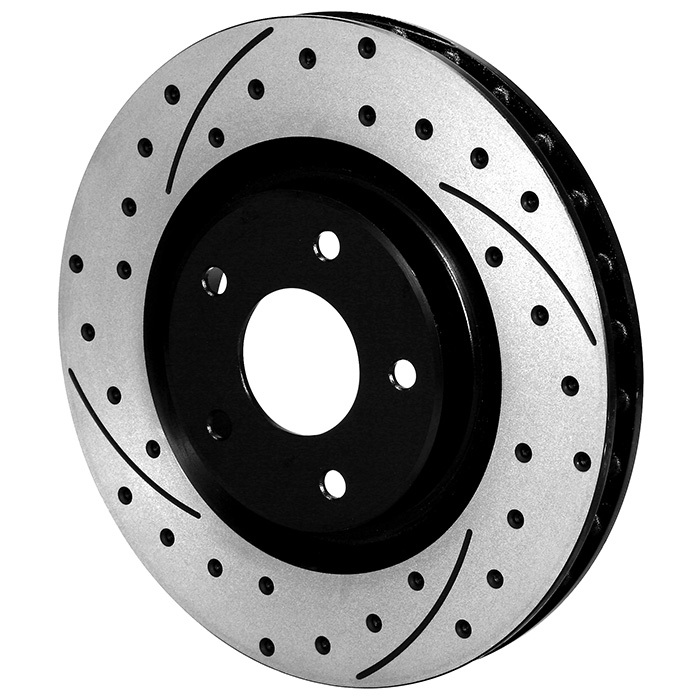 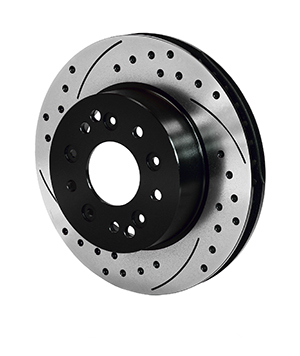 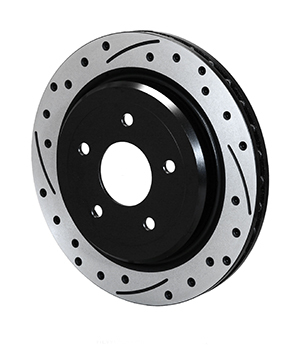 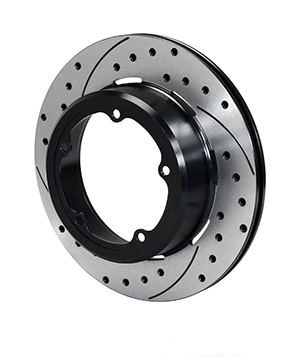 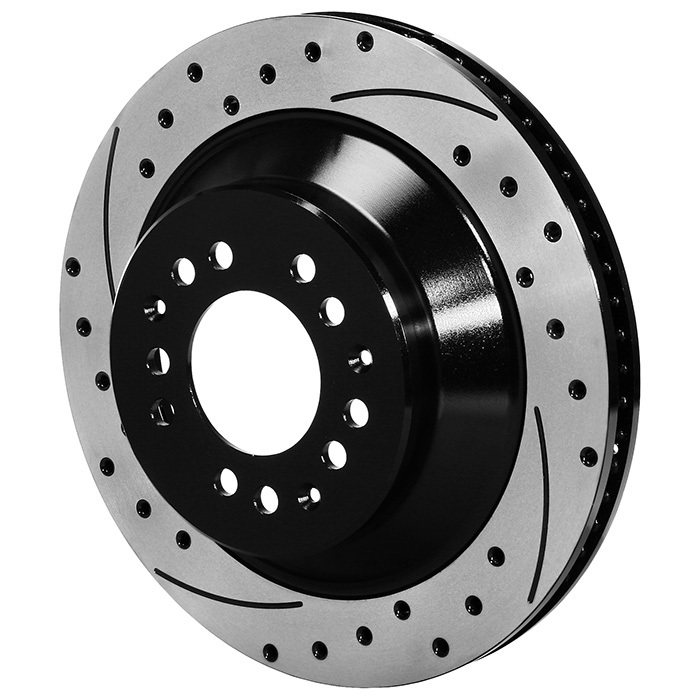 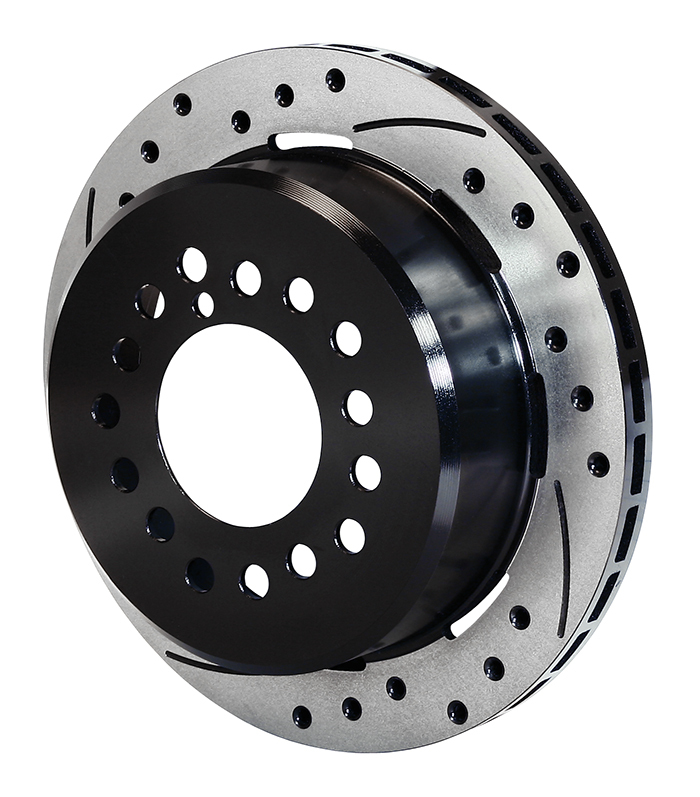 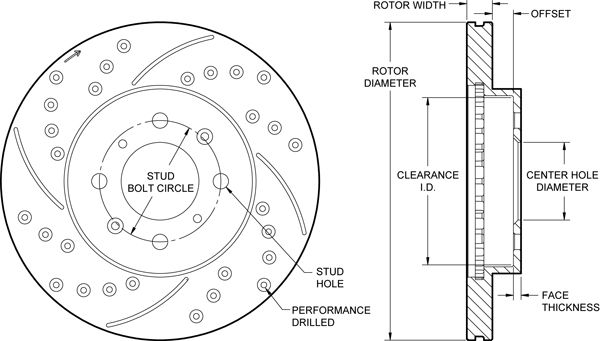 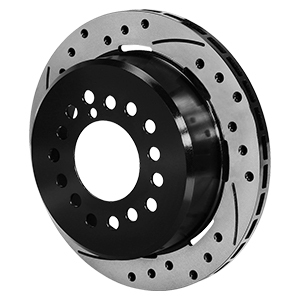 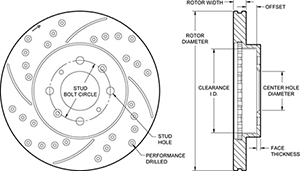 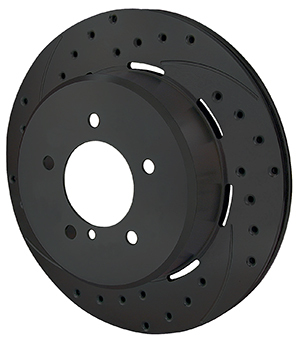 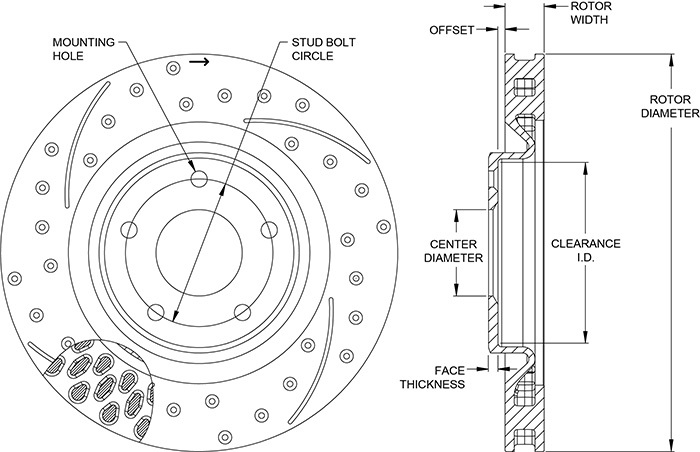 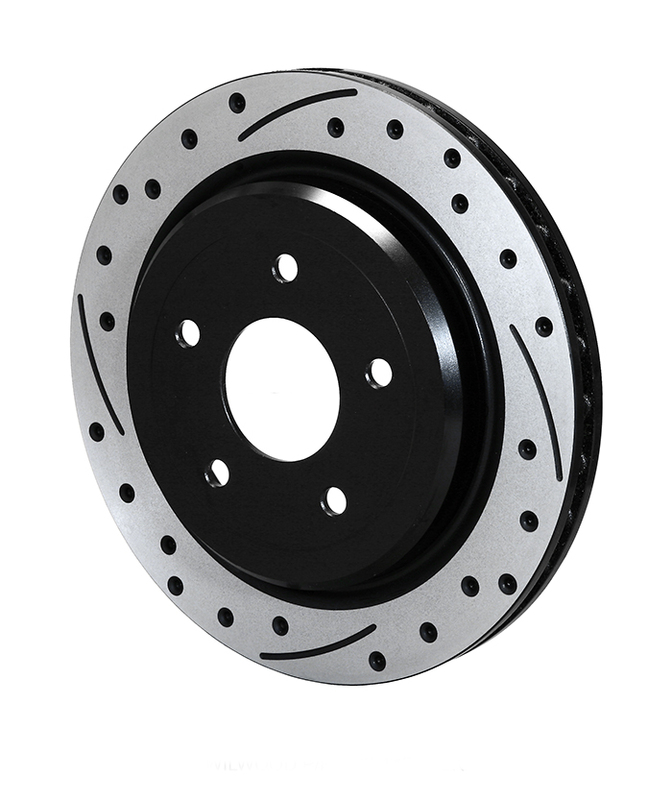 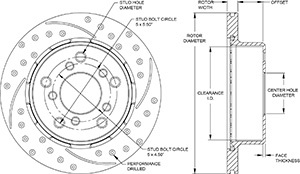 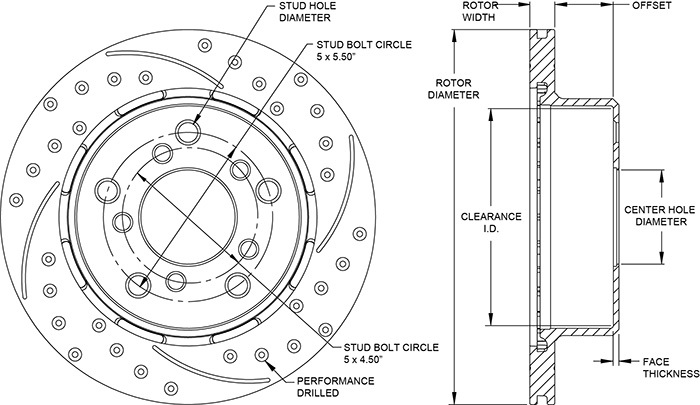 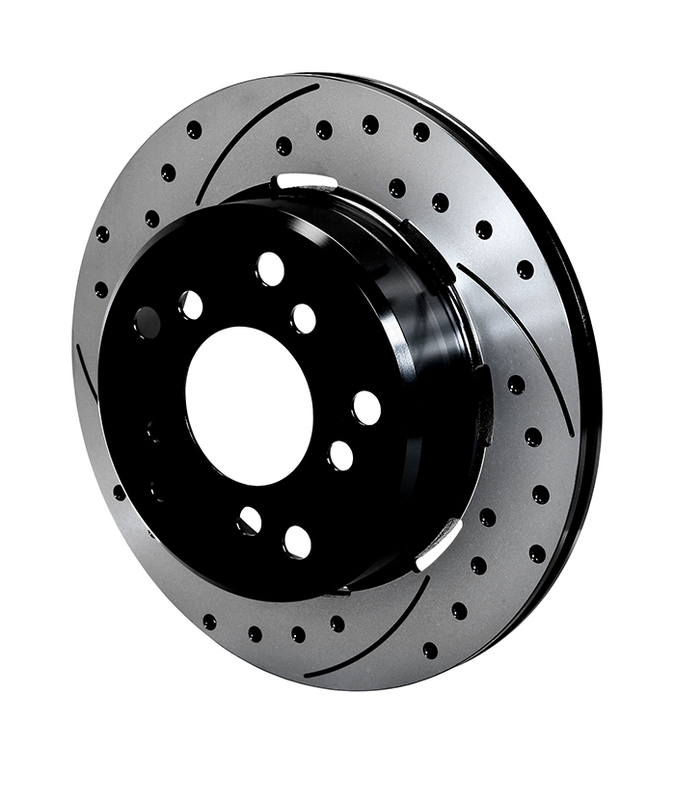 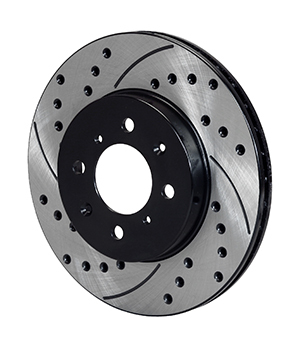 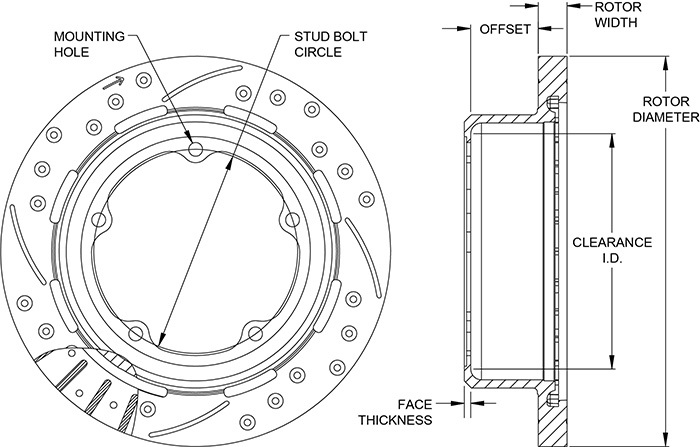 For custom, show and high performance sport driving, SRP Dimpled rotors offer the high tech look and improved performance of a directional cross-drill and face slot pattern. 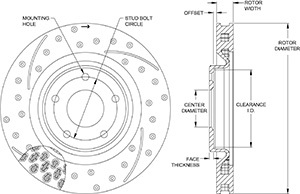 In addition to the aesthetic appeal, the venting and cleaning action of the dimple and slot pattern helps to reduce pad glaze and minimize irregular pad build-up on the rotor faces. 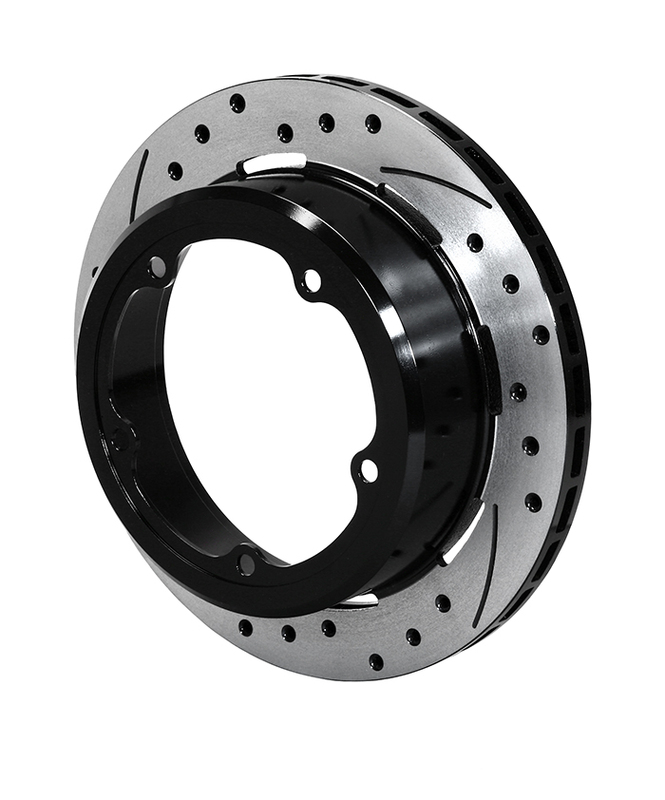 The results are a smoother engagement feel at the pedal and consistent response from the pads. 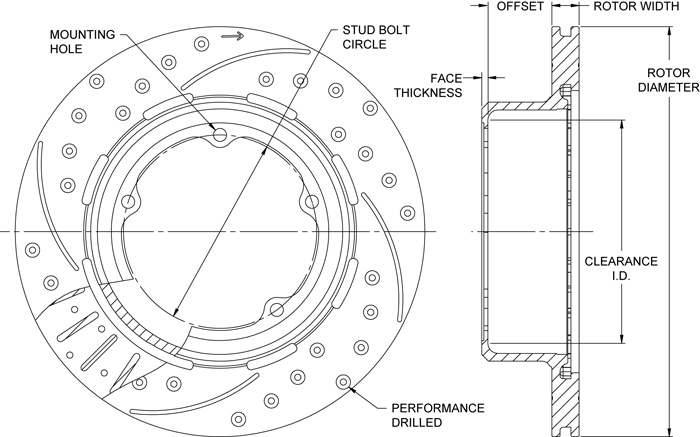 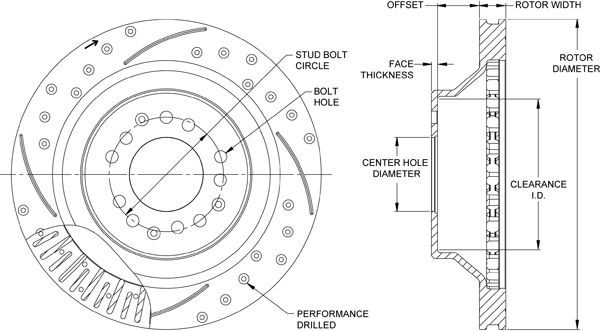 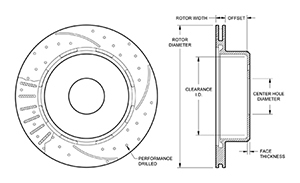 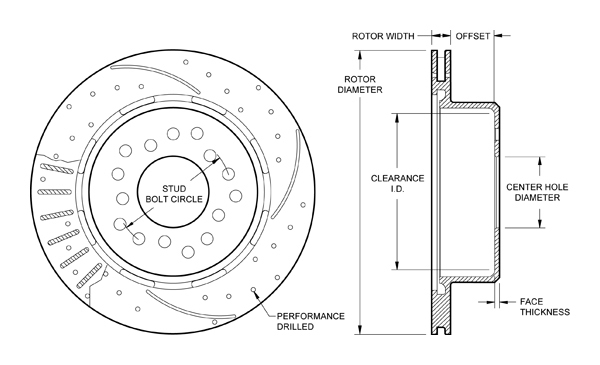 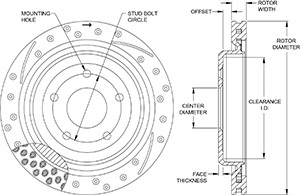 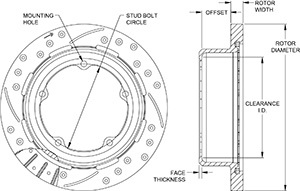 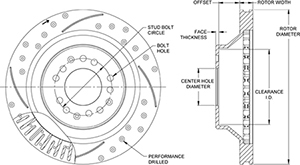 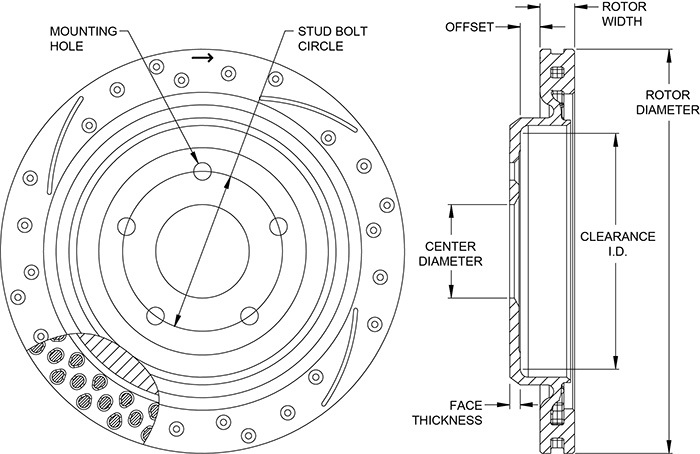 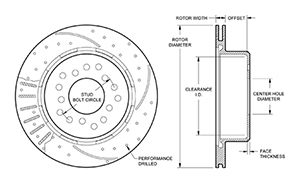 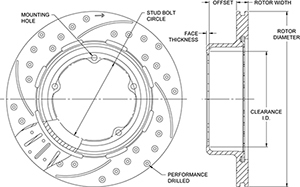 Each rotor is precision machined to less than .001 tolerance for overall flatness, parallelism, and radial run-out on long grain carbon iron castings. 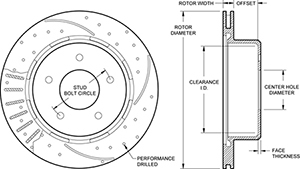 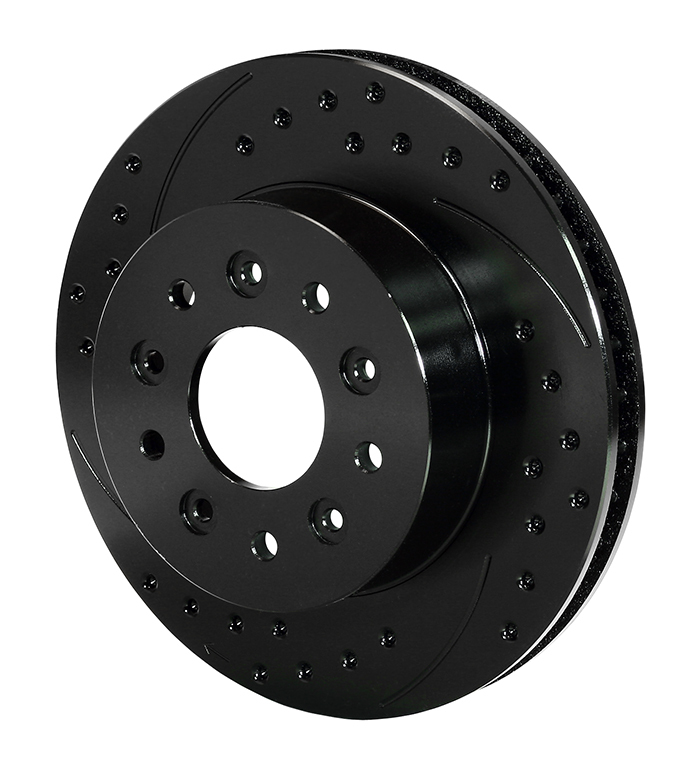 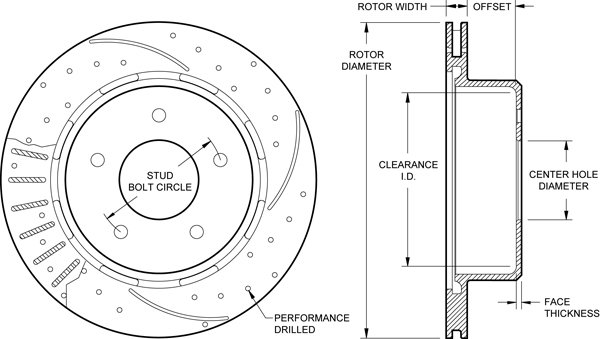 The rotors are finished with a black electro coat to provide corrosion resistance.